Vitus Bering, the famous explorer, led perhaps the most ambitious scientific expedition ever in the 1730s. Commanding 10,000 people, he was in charge of exploring the vast lands of Siberia and the unknown sea between Siberia and Alaska. In 1741, he was forced to land on what would be later known as Bering Island, where he would die. In his crew was a doctor and naturalist, Georg Steller, who discovered in the calm waters close to the island a massive three-ton marine mammal, similar to a manatee, that has the name of Steller sea cow. The new species to science is famous because it became extinct only 27 years after it was discovered. Unfortunately, hundreds of other vertebrates have become extinct because of human activities in the last five centuries. 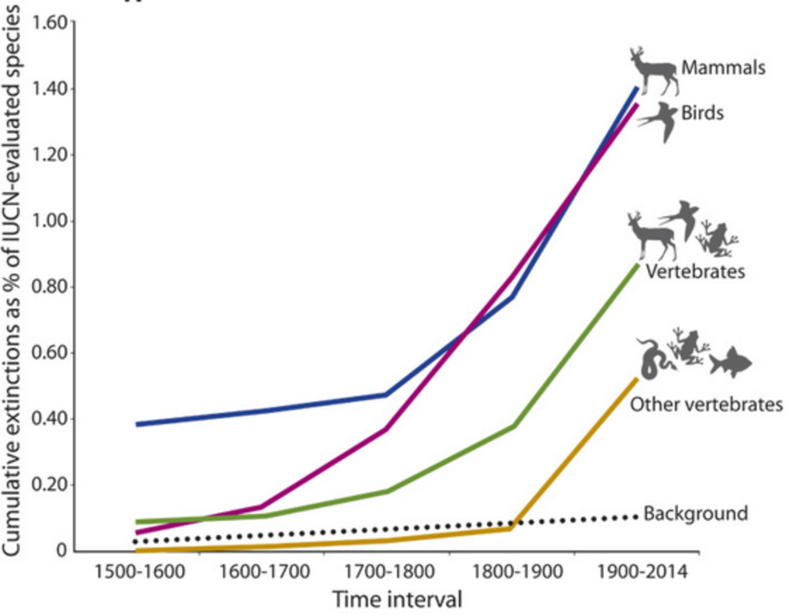 In our recent paper, we analyze whether the rate of modern extinctions caused by human activities is higher that the normal or natural extinction rate. 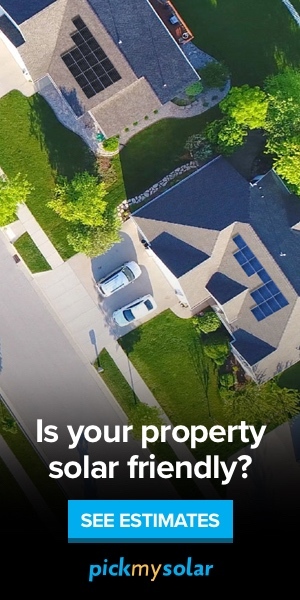 This is important because it would let us understand if we are causing a mass extinction. In the history of life on Earth, there have been five mass extinctions – episodes where large numbers of species became extinct in a short period of time. All mass extinctions have been caused by natural catastrophes, such as the impact of a meteorite. To do the study, we compared the normal – also known as background – extinction rates with the modern ones. In the normal rate, derived from a thorough analysis of thousands of mammal fossil and subfossil records from the last two million years, one would expect to lose two species for every 10,000 species present every 100 years. For example, if there are 40,000 species, we would expect to see eight extinctions in a century. A rate much higher than that would indicate a mass extinction. 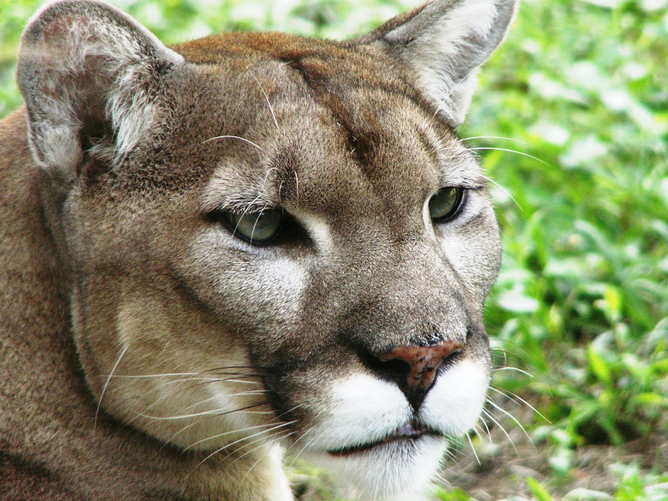 The eastern puma was declared extinct this week by the US Fish and Wildlife Service. In addition to being our companions on Earth, animals provide ecosystem services, such as pollination and clean water, for humans. We compiled the list of extinct and possibly extinct species from the International Union for Conservation of Nature (IUCN), an institution that compiles these data. We found that 477 species have become extinct in the last 100 years. Under a normal extinction rate, we would have expected to have only nine extinctions; in other words, there were 468 more extinctions than would be expected in the last century! Putting it in a different way, the species lost in the last 100 years would have become extinct in more than 10,000 years under a normal extinction rate. Our results are dramatic and tragic. We are losing species much more rapidly now than in the last two million years! At that pace, we may lose a large proportion of vertebrates, including mammals, birds, reptiles, amphibians and fishes, in the next two to three decades. Those species are our companions in our travel across the universe. Losing them has many consequences. Those species are essential to maintain ecosystem services, which are all the benefits that we get for free from the proper function of nature. 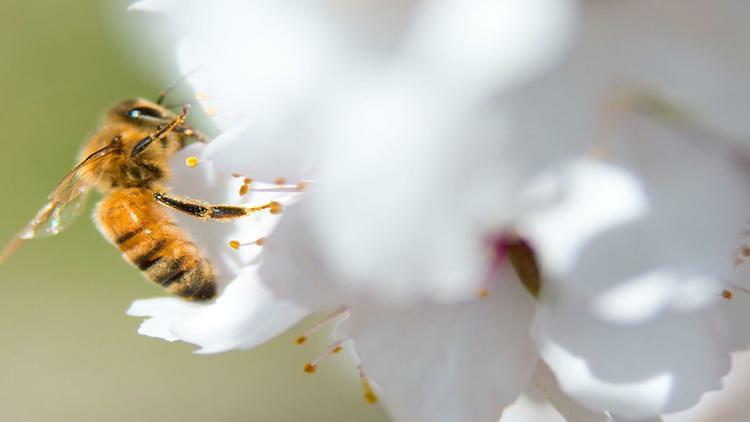 The combination of the gases of the atmosphere, the quality and quantity of water, soil fertilization, pollination and so on are ecosystem services. By losing species, we are eroding the conditions of Earth that are essential for human well-being. 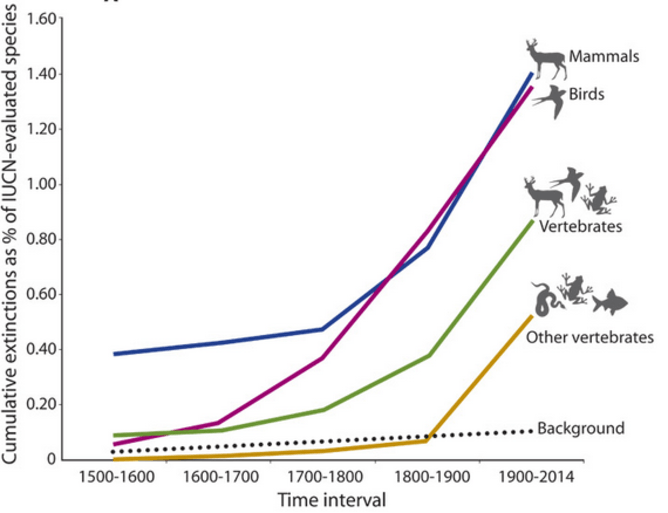 Black dotted line represents anticipated extinction rate according to natural causes compared to actual extinctions. There is still time to avert the most tragic consequences of a sixth mass extinction, because this one is caused by us. We need to curb the human population growth, social inequalities and more efficient of natural resources. We need to reduce habitat loss, overfishing and overhunting, pollution and other factors that are causing the current extinction episode. We are the only species that has the capability to save all endangered animals. Paradoxically, saving them is the only way to save humanity. Gerardo Ceballos is Researcher of Ecology and Zoology at Universidad Nacional Autónoma de México (UNAM).